It's going to make us feel amazing! Put some water in a kettle and bring it to a boil. Add ginger in a container and pour the hot water on it and let it sit for five minutes. Add your sliced oranges into a jar or any big glass container and pour the ginger along with the water into the container. Fill up the container with additional water and let it sit still for about 2 1/2 hours. Drink this water every day for 29 days. You can always stop when you feel like, but this water is not hard to be made, so it's not anything hard you are taking upon yourself. In 2010, a study published in the "Nutrition Research Journal" found that drinking orange juice for 60 days lower bad cholesterol levels in the body. Oranges may help to boost your immune system, improve your skin quality and help to maintain a healthy cholesterol level. Live Science states that “Oranges are low in fat and they are nutrient-rich food with low glycemic index, which makes them suitable fruits to eat to prevent and fight obesity...” and according to the U.S. Food and Drug Administration, Orange has zero fat and zero cholesterol. L.K. Han, a Japanese researcher, states that ginger creates thermogenesis, an action that helps to boosts the metabolism. He also led a study whereby rats fed ginger extract lost weight while eating a high-fat diet (this doesn’t mean that you should go on a high-fat diet and eat ginger). Han’s study was published in 2008 in the “Journal of the Pharmaceutical Society of Japan” and it was accompanied by a similar test done on animals at the Kuwait University. 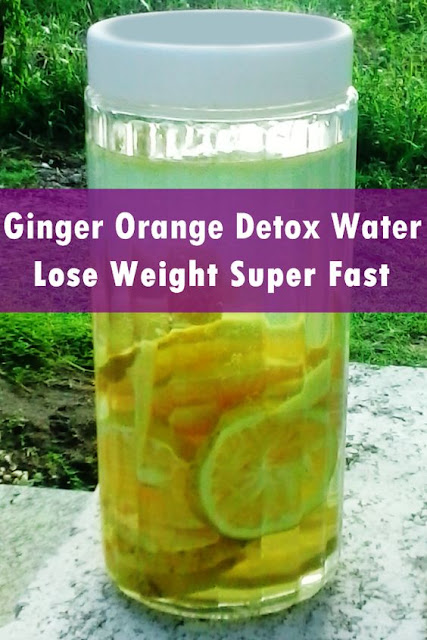 Ginger and Orange are truly amazing when it comes to losing weight super fast.